StrongStart: What's in the Tub Tuesday? 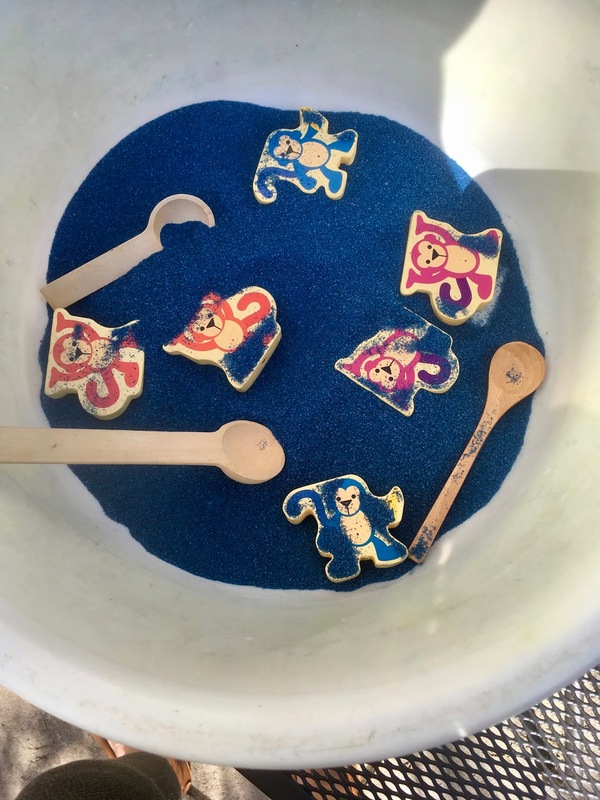 Blue sand, wooden monkeys and spoons. Oh how lovely the sand feels. 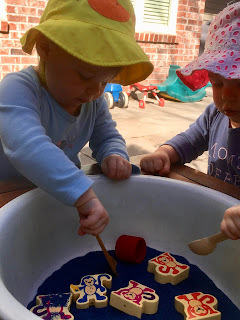 The twins are learning to feed themselves with spoons so I thought this would be a good opportunity to practice. I didn't think they would try to feed each other. Lots of practice pinching the sand, lift it and put it in her cup.